Sabre 15 Grams Red Pepper Spray Keychain | BUDK.com - Knives & Swords At The Lowest Prices! They&apos;ll never expect this little key chain unit packs a powerful punch. 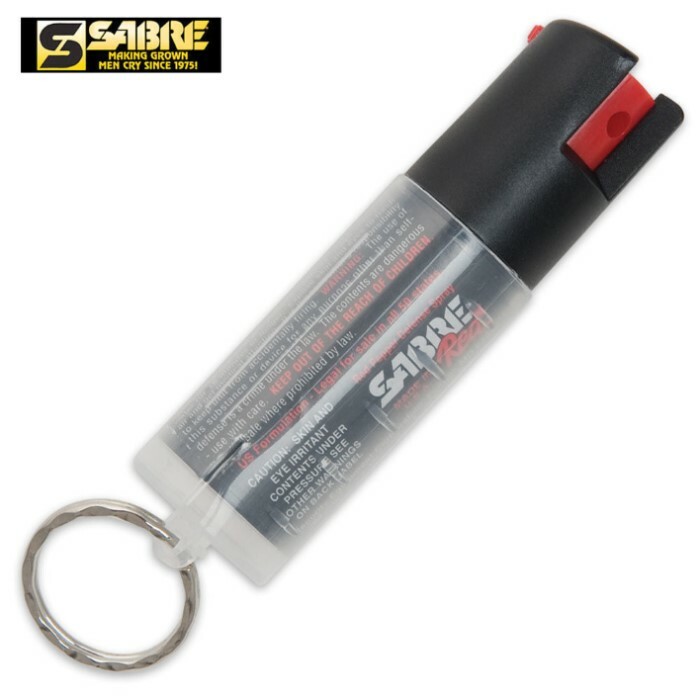 But, this Sabre Red Pepper Spray will literally take down an assailant. This key chain unit can blast up to 25 sprays of up to 10 feet in distance so you&apos;ll surely be able to hold off any attacker.